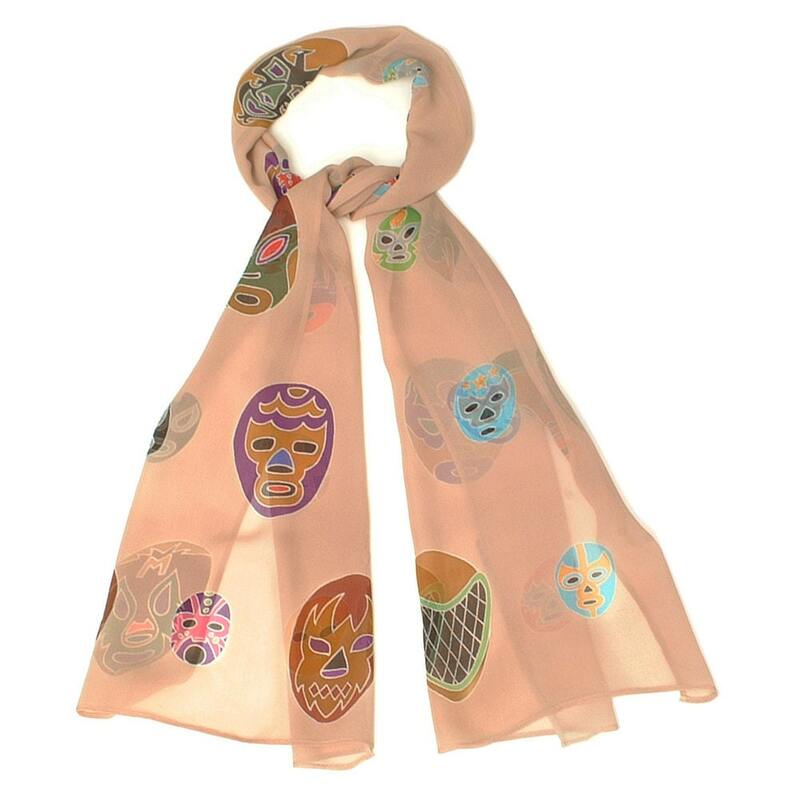 This cool one-of-a-kind hand painted silk scarf has 35 Mexican wrestlers, Lucha libre masks. Perfect for men or women. The masks are beautifully painted in bright colors with beige background. 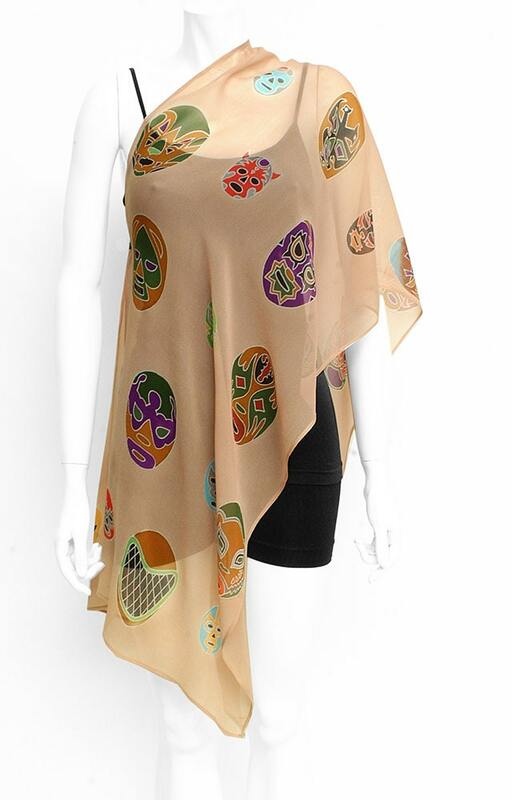 This scarf is painted on a top quality Chiffon silk (100% pure silk) with professional quality silk paints.